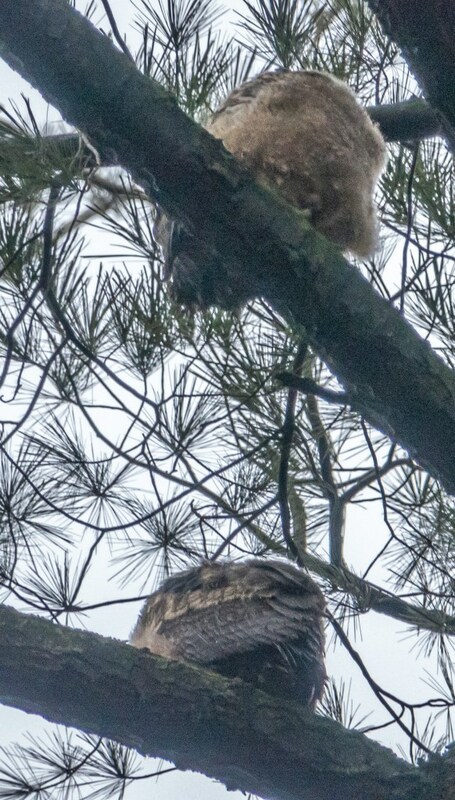 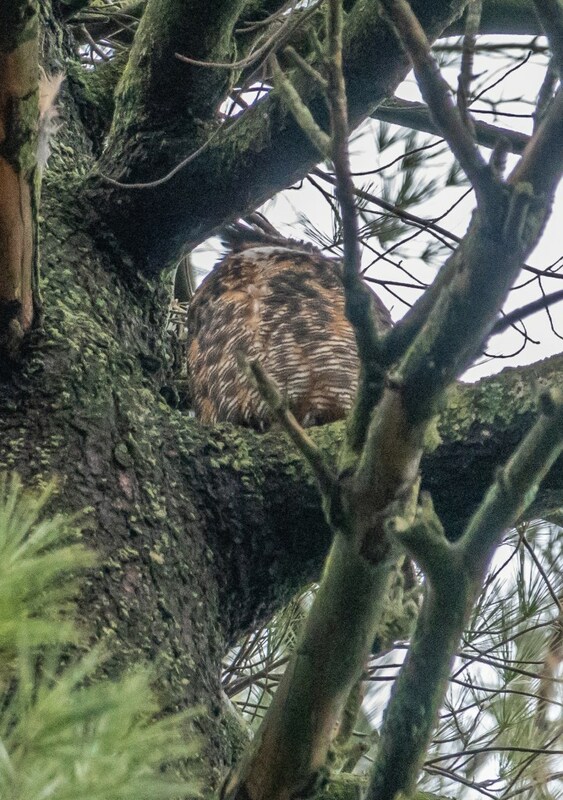 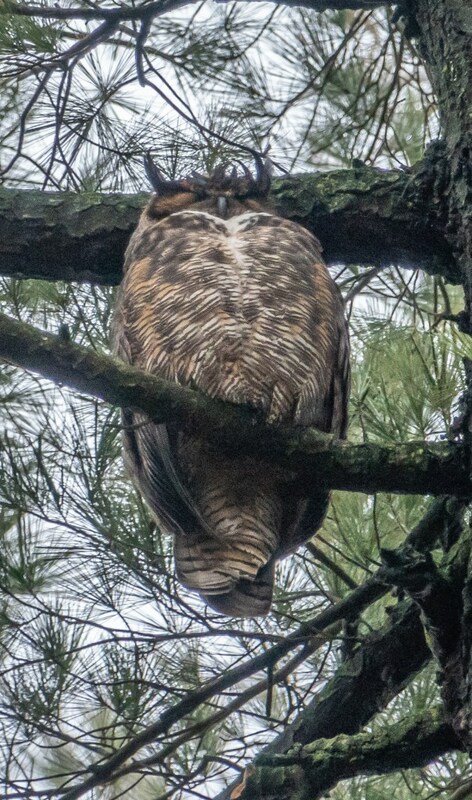 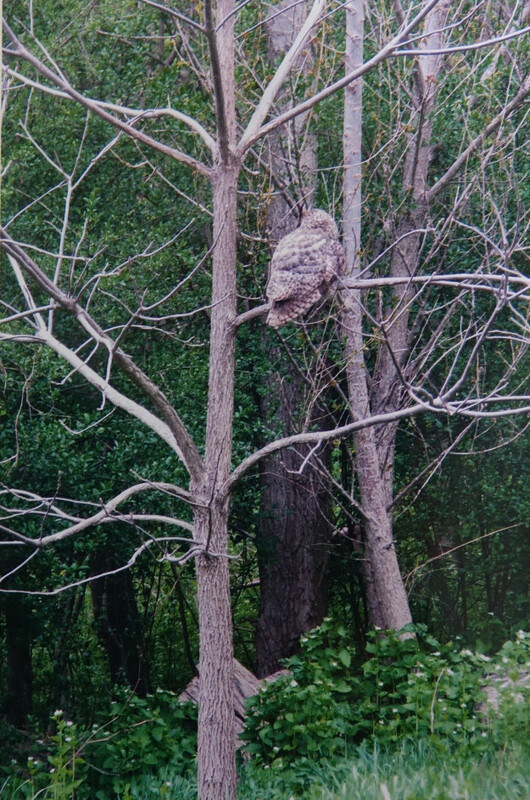 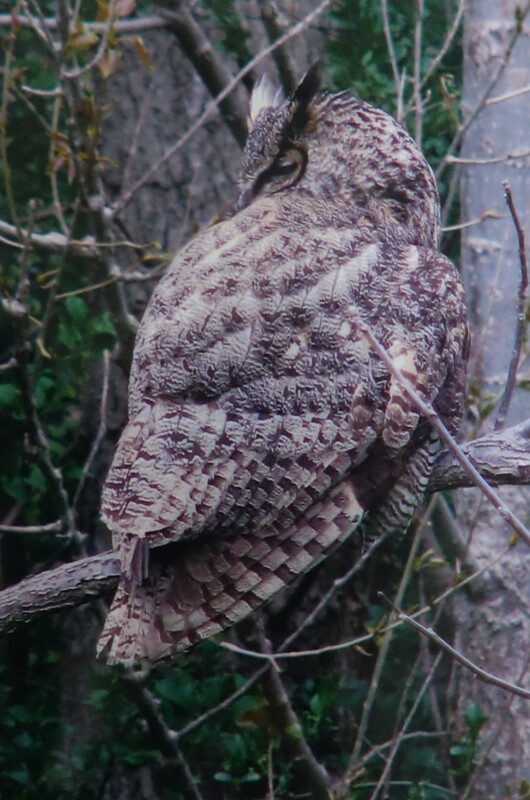 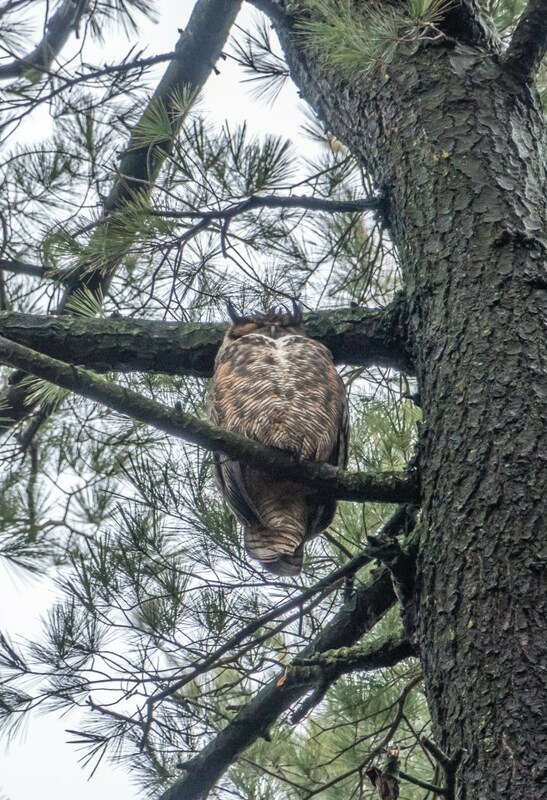 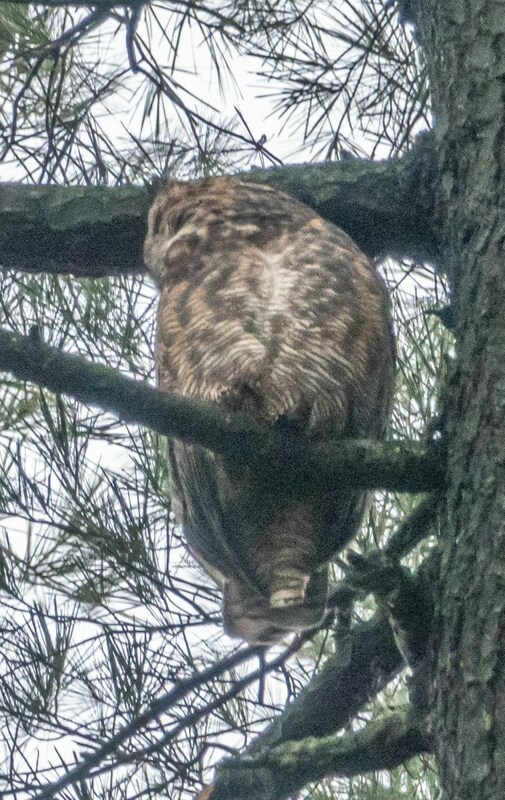 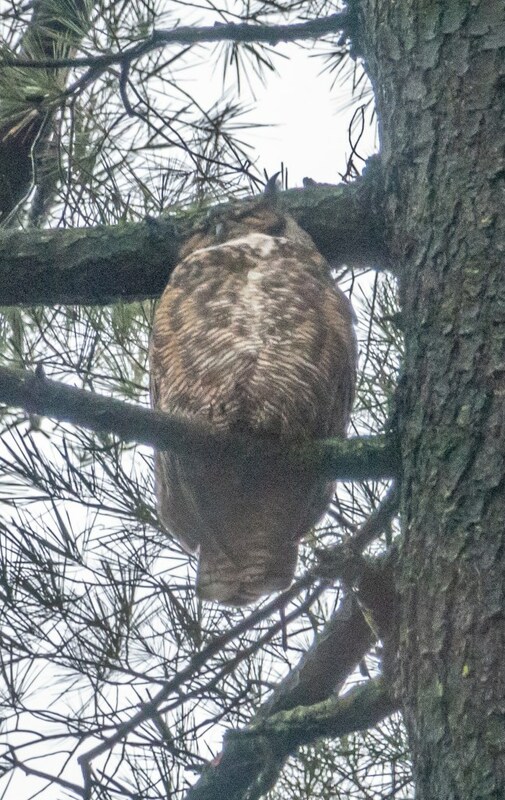 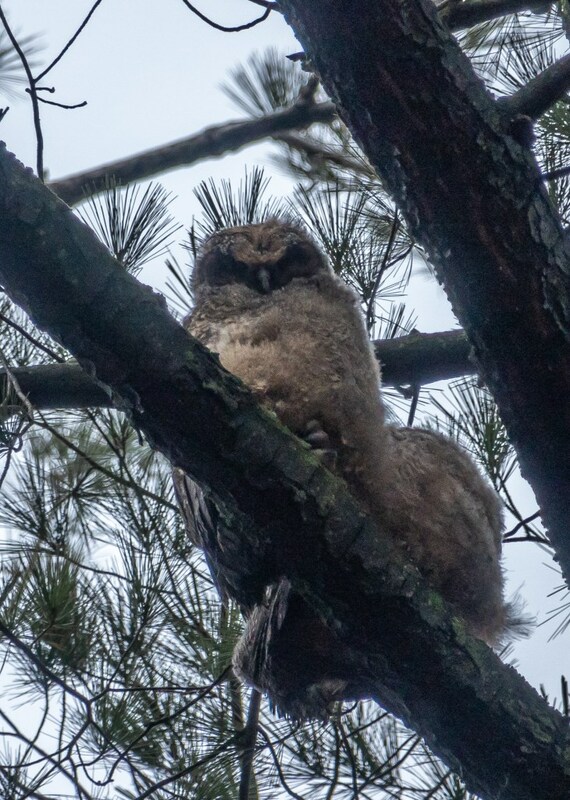 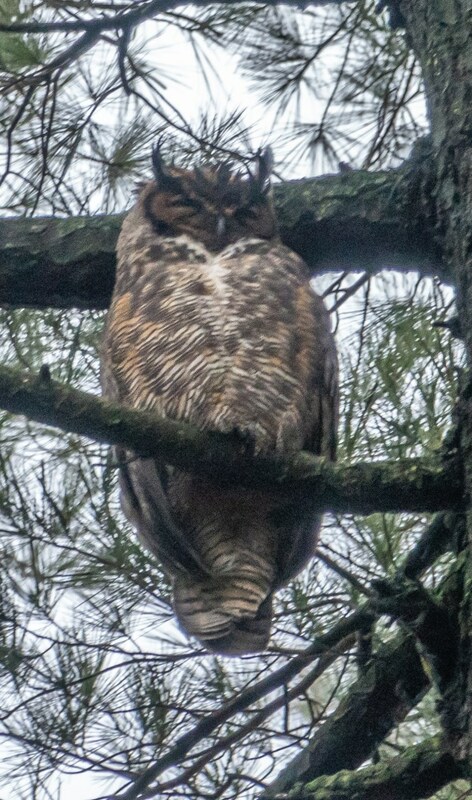 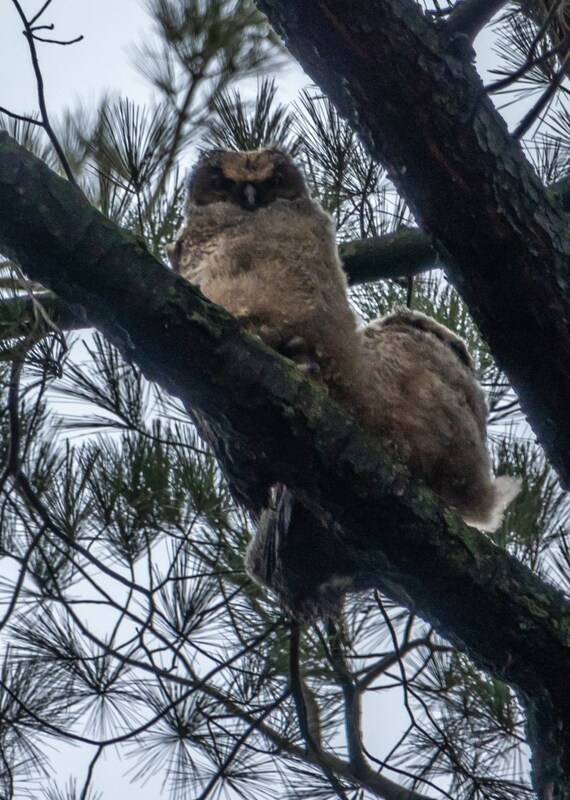 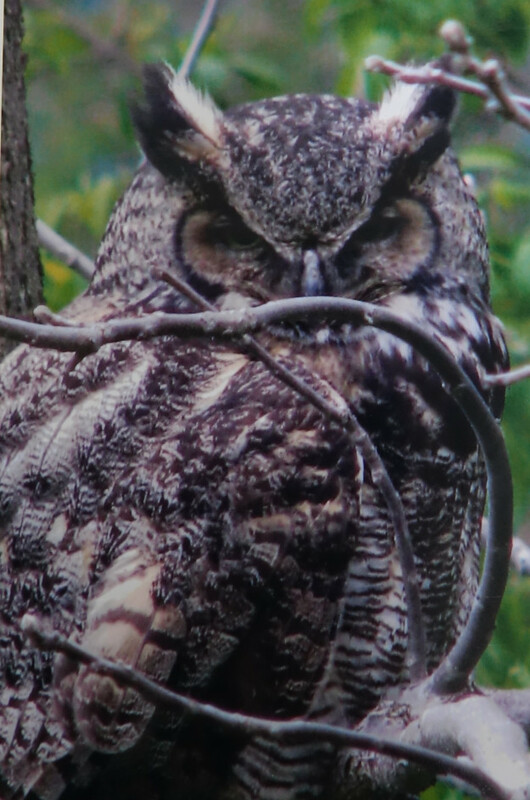 It was a real thrill for all of us to see two adult Great Horned Owls with two chicks high in a group of White Pine trees a little to the north of the western exit of the High Park Zoo. 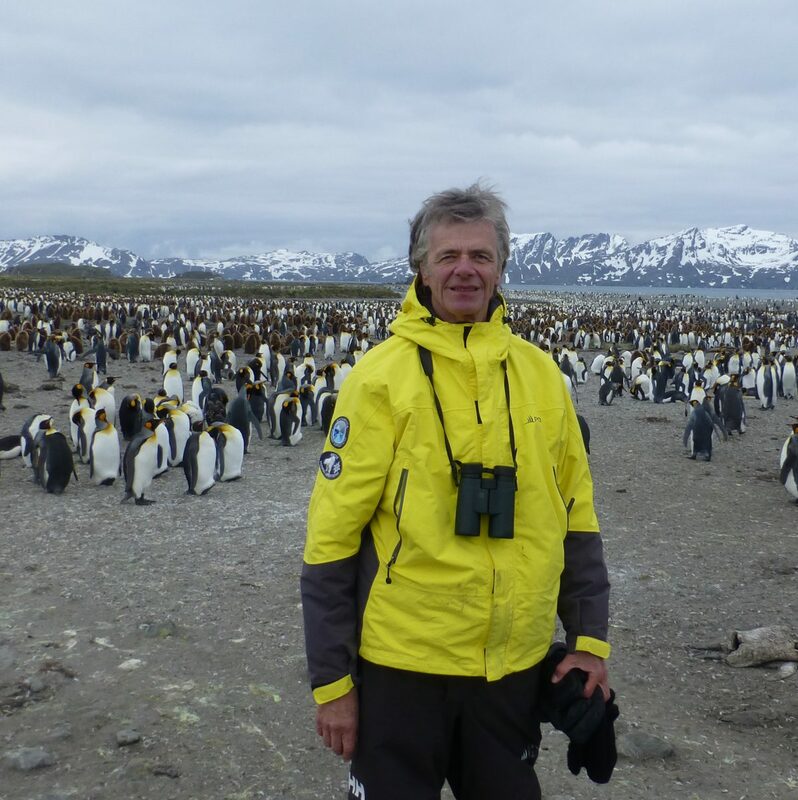 In 13 years of leading these walks, this is only the second time that we have been able to observe these magnificent creatures. 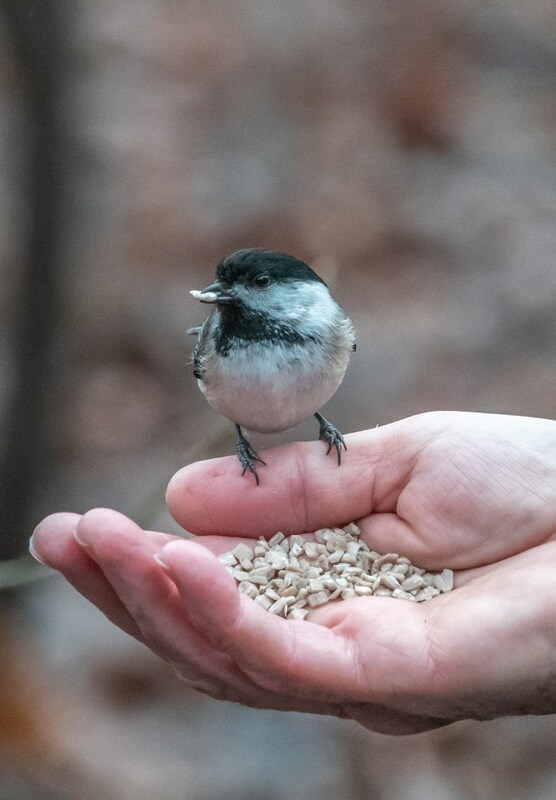 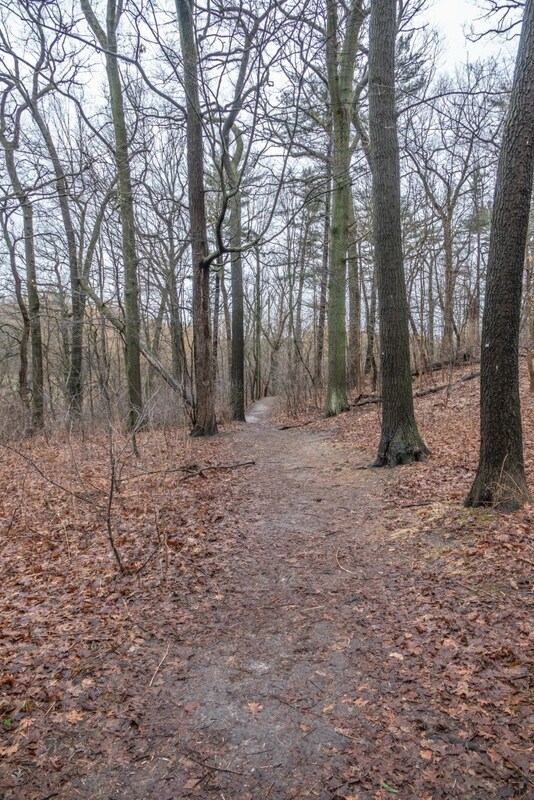 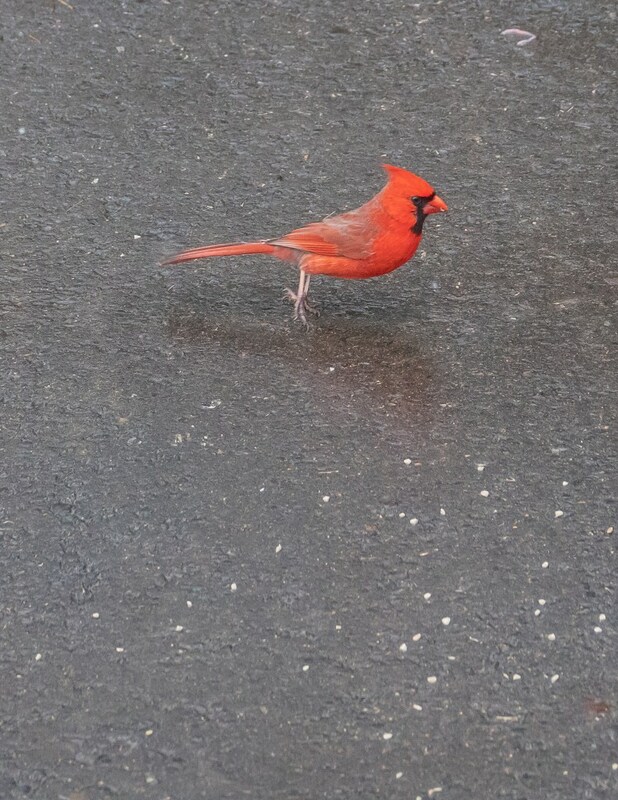 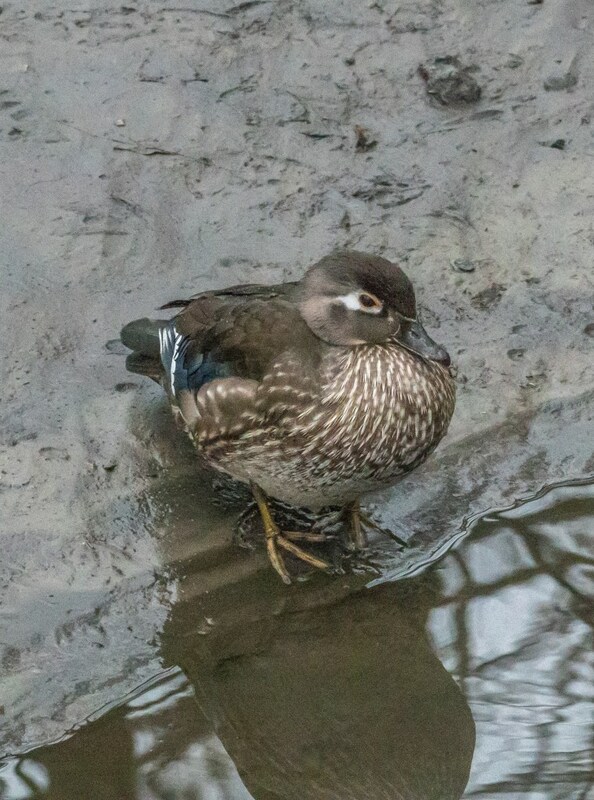 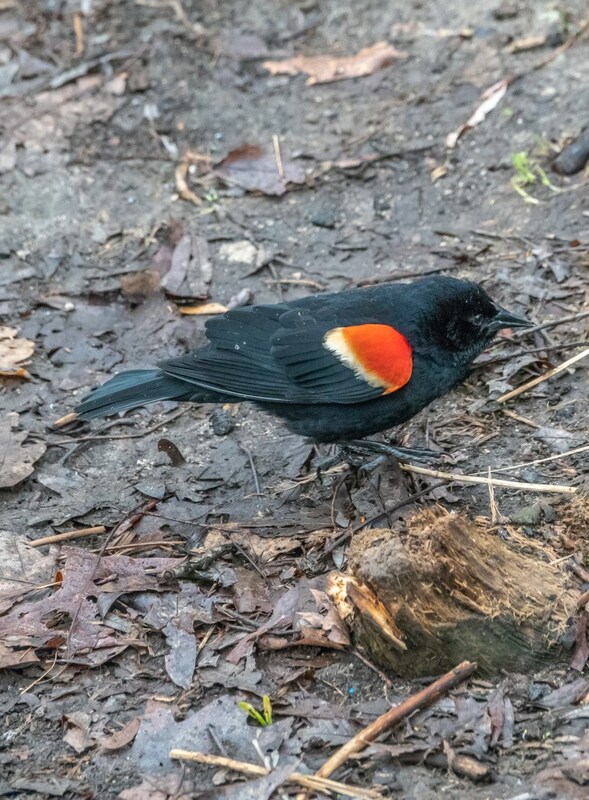 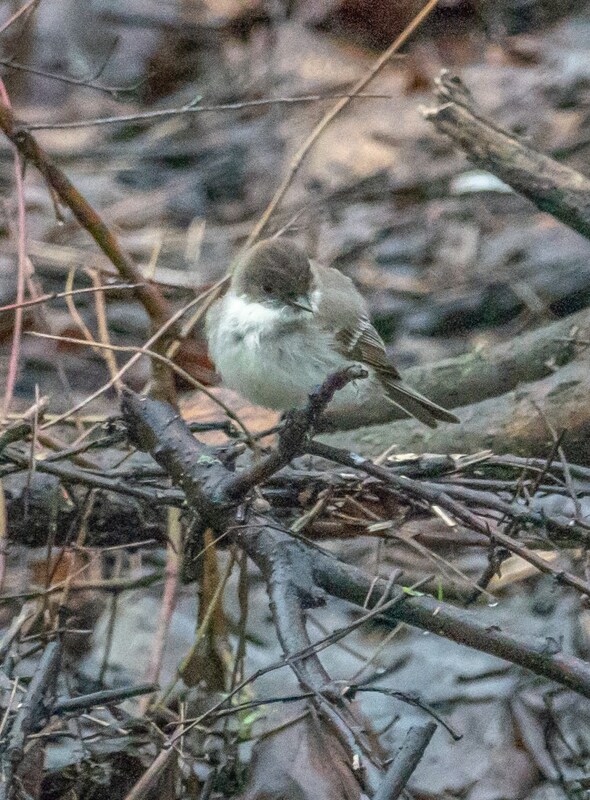 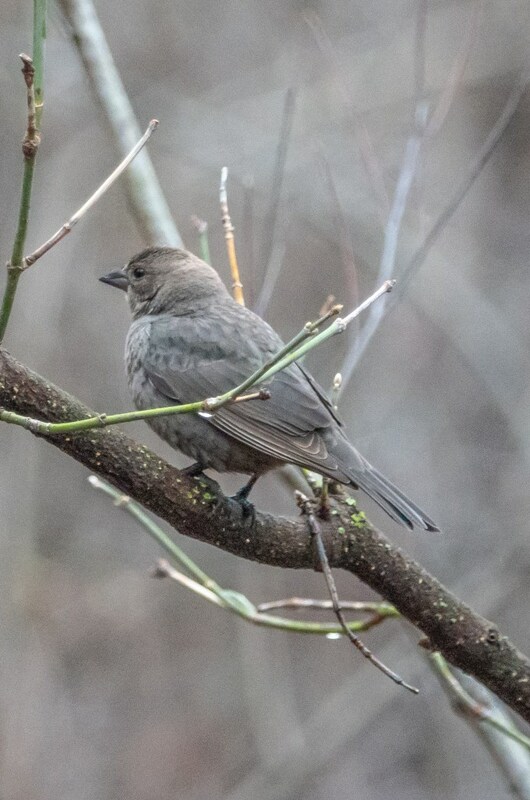 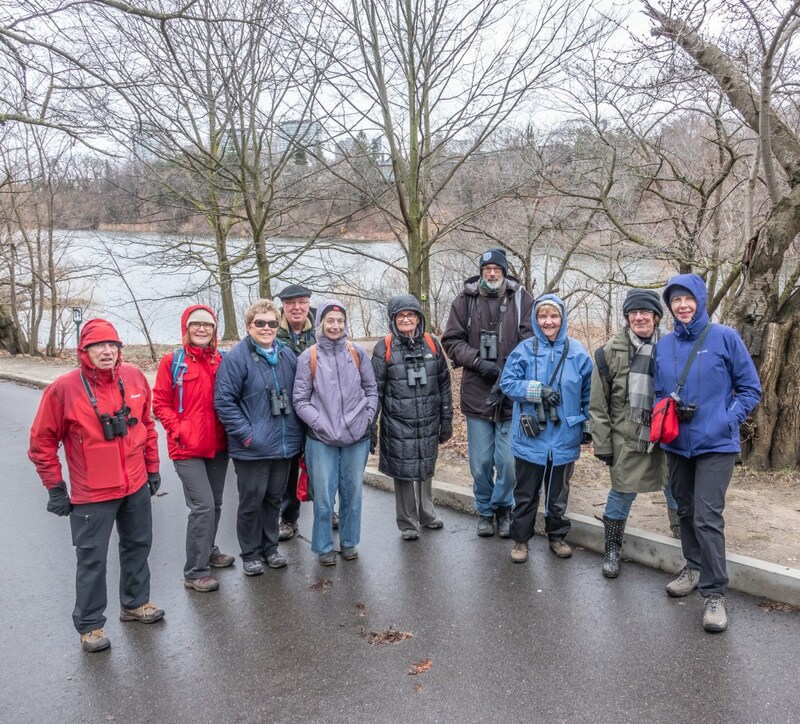 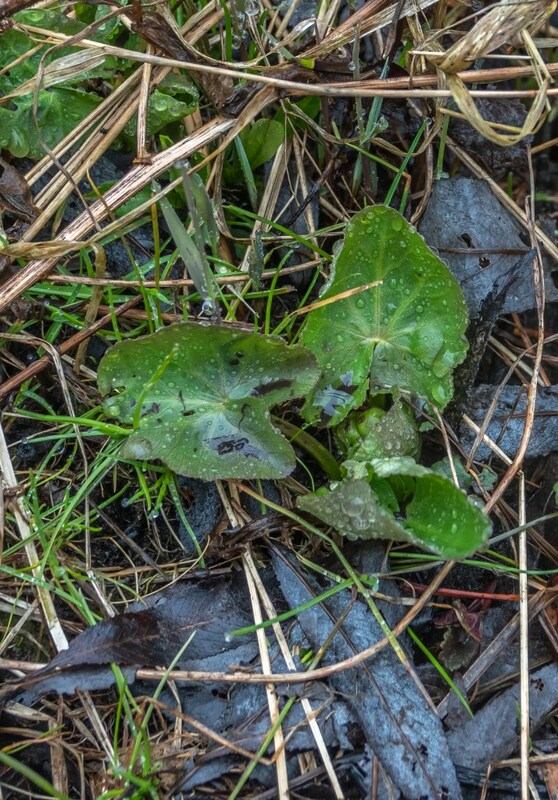 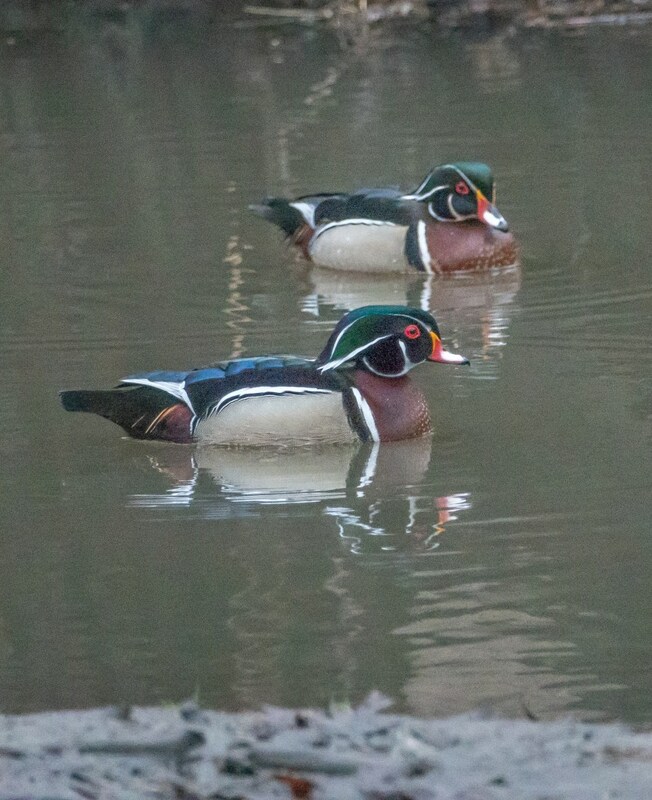 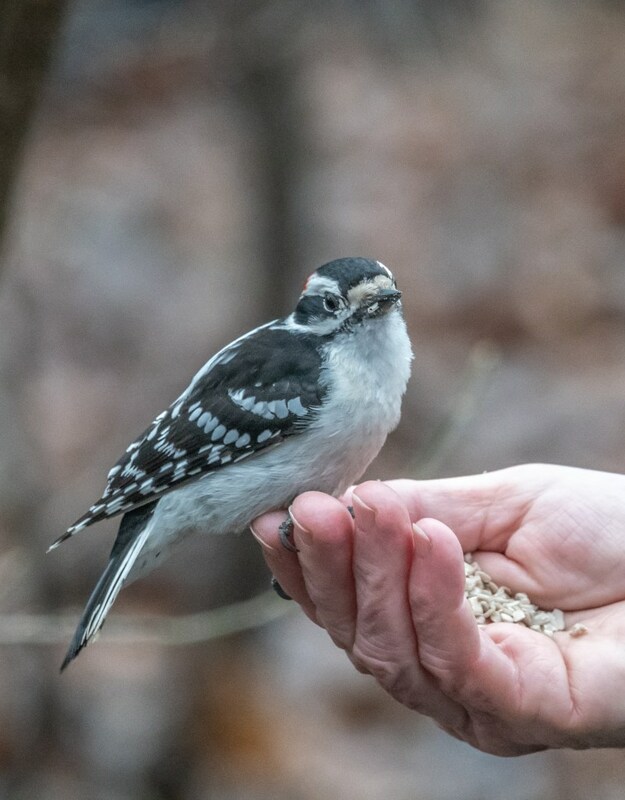 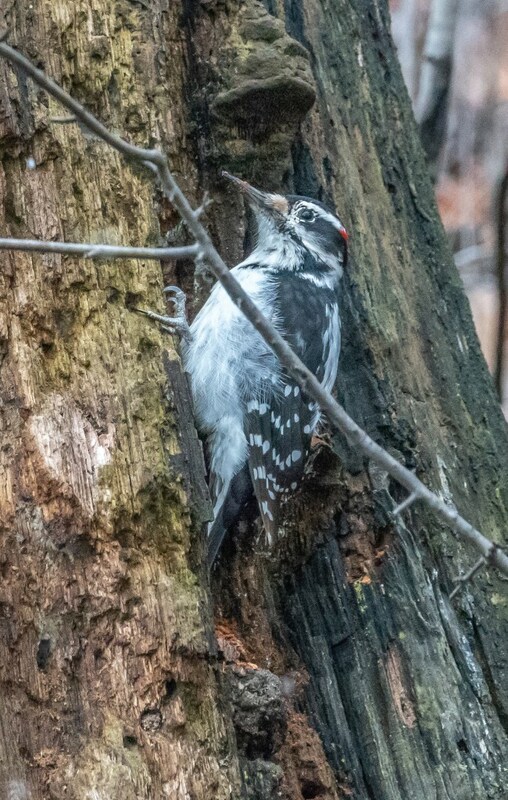 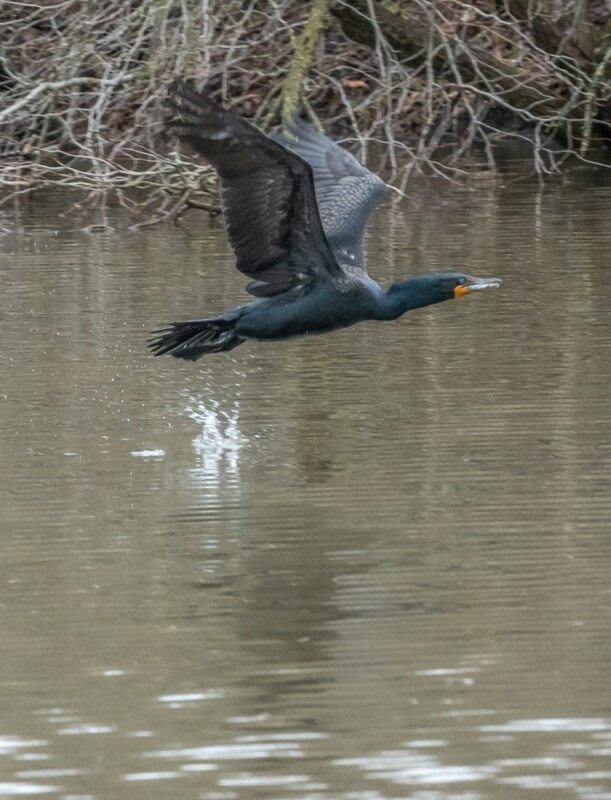 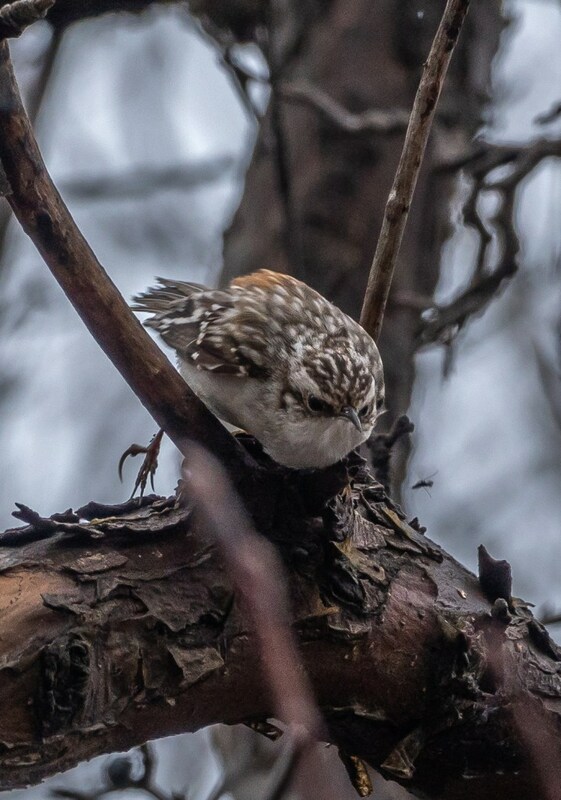 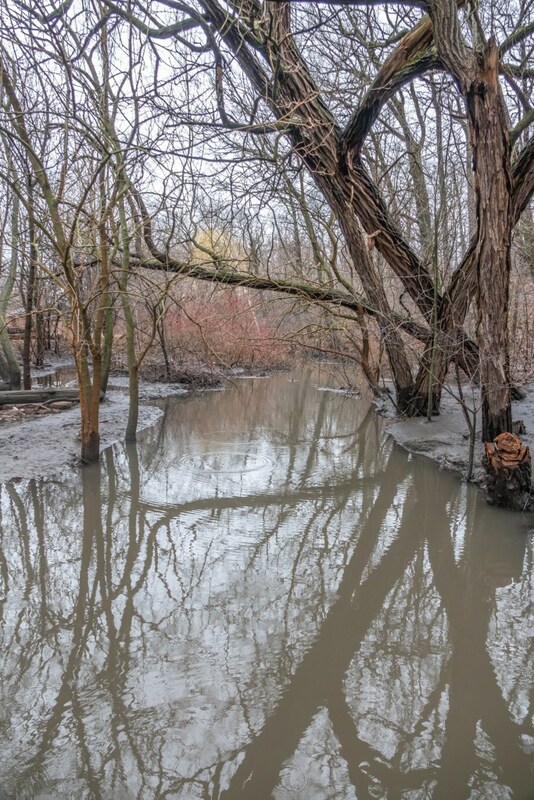 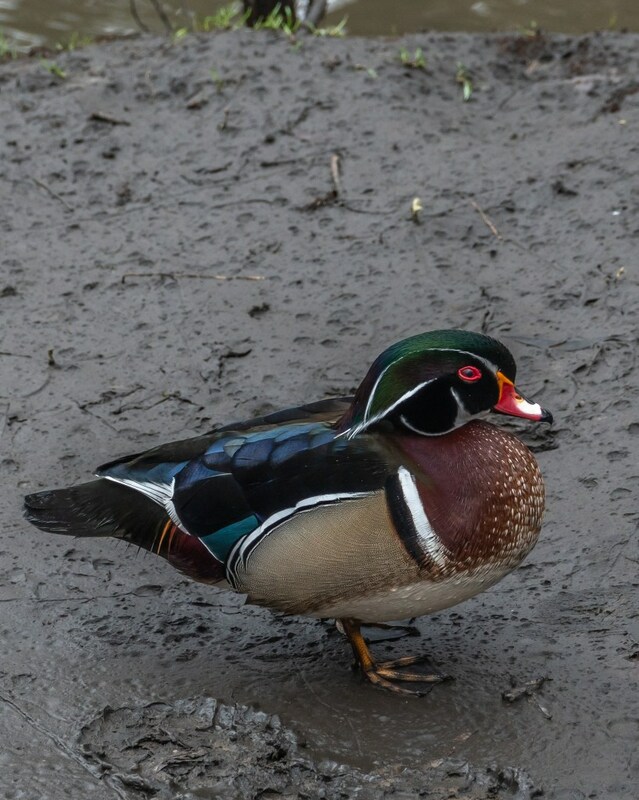 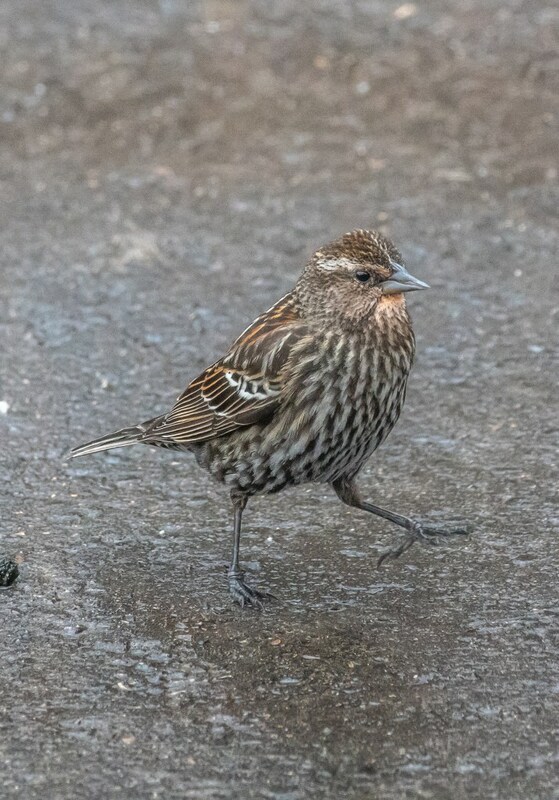 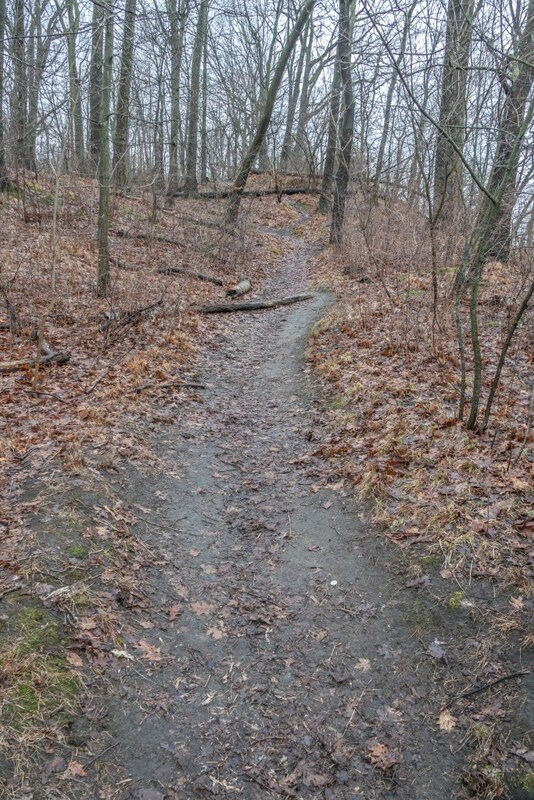 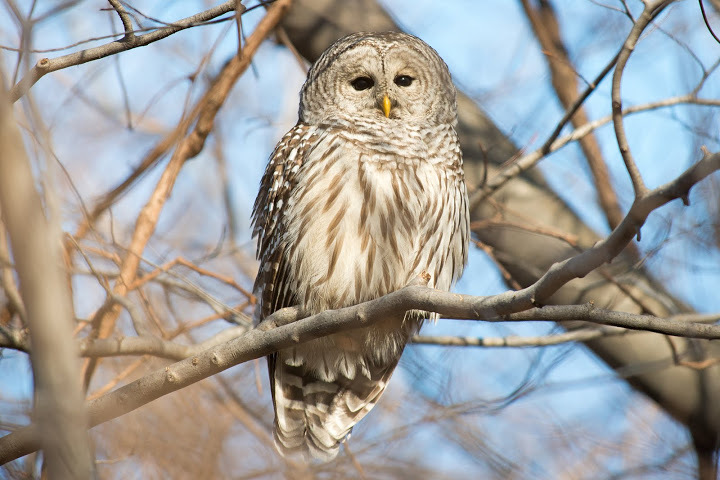 This entry was posted in Nature Walk Reports on April 15, 2019 by milesghearn.